You already heard this : « Life, isn’t a sprint, it’s a marathon ». Do you think is right ? Me, I think life is a special labyrinth. 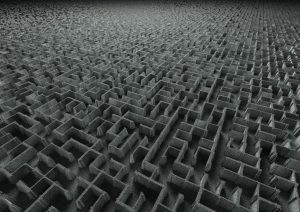 A blog talk about this, click this article « Life is a Maze, not a Marathon » . This concept can be use to be healthy. In the game of life, we must find a way to be have a better life and to find a way to use all our potential. When we try to change a lot of things, it’s hard to adapt it all. Change take time and think about a marathon reassurring us. But, a marathon means with each step, we go forward. We will finish the marathon with this process, it’s certain. In life and in the quest to have a better lifestyle, there is a lot of unexpected events. Intead to think your journey is like a marathon where you know all the difficulties in advance, think life is a labyrinth that change all the time. I tried to lose weight and I failed. I’m a loser and I will never reach my goals. I tried a training one time and I didn’t like it. Training isn’t for me. I applied for this job I wanted and I didn’t have it. I’m condemned to have a miserable life. Instead of this, you’re in a labyrinth with your goals in center. You will find deadlocks and this doesn’t means you’re an incompetent person. They’re simply paths that don’t work. I tried to lose weights and I failed – I will try again with a new tactic. I will do it again with a different way. The last time, I tried to count calories. This time, I will only focus to eat a better foods. I tried a training one time and I didn’t like it – I will do a different type of training that seems to please me. I applied for this job I wanted and I didn’t have it – Well, I need to change my tactic and stand out differently for the next job. I thank video games to push us to make challenges and we don’t have any problems to dedicate thousands of hours to push « continue » to win. However, this stubbornness and this devotion can be a blessing,but they can be a curse about be healthy. Sometimes you will be guide to a bad path. When you continue in a deadlock you waste your time and you get away from your goals. We force ourselves to count our calories and to run more often when this don’t give us results. And we give up quickly this strategy every time. Change the strategy with a strenght training and eat only clean foods. We stay in a deadlock with the job because we got our degree and we think we should do. This is the « good enough » syndrome and this is very very dangerous. Change it, we’re better than this. We stay in a unhealty relationship because we’re together so long and we accepted to have a miserable relationship. We need to realize we deserve to be happy and we need to take care of ourselves. Sometmes take a new direction is the better thing than you can do. Not because you give up what you do, but instead you give up a bad thing and this allow you to focus all your efforts to the good path. In labyrinths, there is always a moment where you must choose between three paths and you don’t know which one choose. 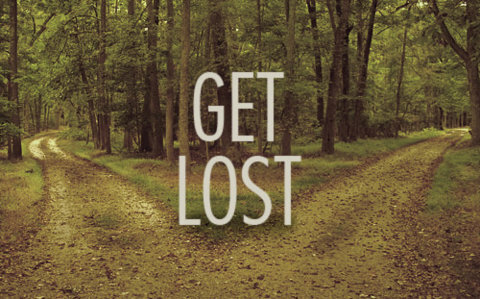 In life, there are times where you don’t know which paths choose and it’s stressing. The worst thing you can do is to sit and complain because you don’t know what to do. Information can help you to choose. Educate yourself to choose the good direction. 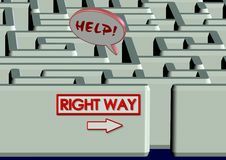 Do research to determine which path is better than others. Each path have its own characteristics and there certain that you would like to avoid. Choose a path for a reason. With a litte research, you see which path you like most. Whatever the reason, choose a path and start as soon as possible. Give yourself a chance to have a little result to test a path. When you’re lost, you leave mark on walls to leaves traces to don’t do the same mistake. If the path don’t work, you need to know. Test for 2 weeks a training and look if you have results. Test for 2 weeks a diet and look if you have results. If this don’t work, do again this process with a different training and a different type of diet. You can’t save the world and you can’t finish the labyrinth while sitting. Do research and take a logical decision can help the processus but sometimes you have to act. 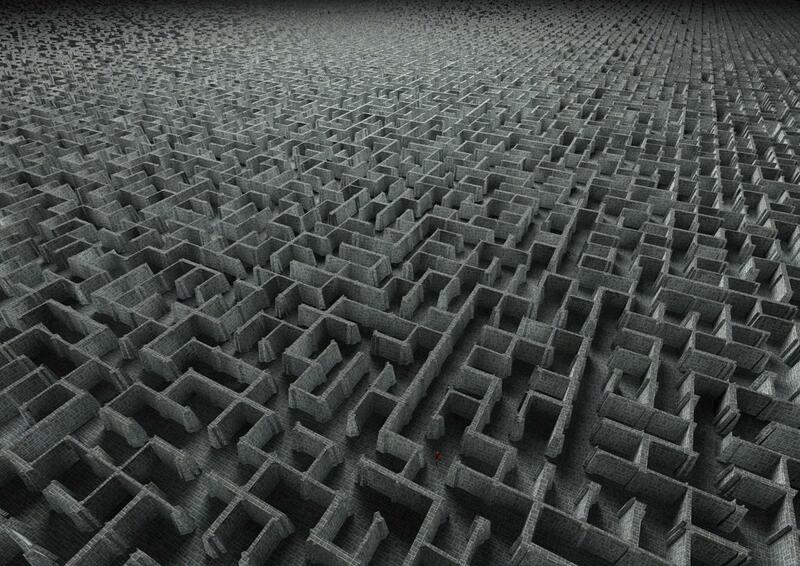 The life is a labyrinth very very difficult to solve. People who say they understood everything in life are liars. When you have several choices, educate yourself the more you can and choose a path. When you find a deadlock, mark it in your list and try a different path. Courage and determination are important to have victory. 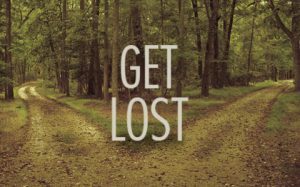 With enough perseverance to test different paths to find the good path, you continue and find your goals in the center of the labyrinth. Start. Don’t feel guilty when you’re in a deadlock, try new paths. You will find the end, my friend.